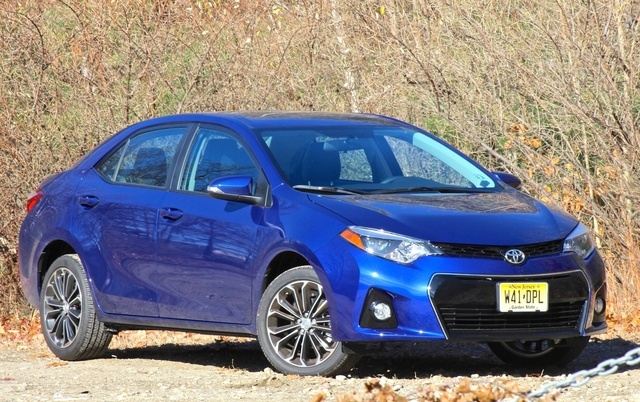 CarGurus has 49,112 nationwide Corolla listings starting at $650. One hundred thirty-two horsepower may not seem like a lot, but the tuning of the engine and mapping of the CVT work well to get every inch out of this fuel-sipping 4-cylinder. Certain vehicle segments define themselves by hyperbole in a particular metric. Performance cars are measured in horsepower and 0-60 times, pickup trucks are vetted on towing and hauling capabilities, and alternative-fuel vehicles are ranked on fuel economy. Yet no one single metric on paper can perfectly explain what makes a compact sedan the best in the segment. It needs to have the right combination of power and efficiency, with the ability to haul a driver, and occasionally other individuals, on a daily grind for about a decade, before being handed off to the next person for the same purpose. It is with this combination in mind that one must consider the Toyota Corolla. Though not the prettiest in the bunch, the Corolla delivers fuel-efficient daily motoring in a package that will make it a tremendously reliable addition to your garage. The 2014 version marks the start of the eleventh generation of the Corolla. It has been sold in North America continuously since 1968—it has been around almost as long as the Chevy Camaro and predates the introduction of the Honda Civic by 5 years. The Corolla has grown, but unlike other vehicles that have grown egregiously from compact to midsize and midsize to full-size. The Corolla has stuck to the game plan of delivering affordable, compact daily motoring. Its noted reliability combined with conservative looks through the years has perhaps unfairly earned the Corolla a reputation as a boring car. 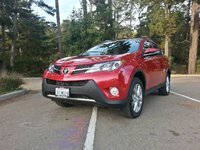 For the 2014 model, Toyota was bent on shaking that stigma and attempted to bake some attitude into the Corolla—at least from a visual standpoint. The angles and lines of the new Corolla make quite a statement, but perhaps an unnecessary one. This is a vehicle that does not require wild styling for Toyota to sell a gazillion of them. Sales of the Corolla in the final years of its previous generation were nearly as strong as its highest sales years. With that in mind, the new, sharper styling may serve only to hurt the Corolla. This design trend muddles the waters between itself and the Scion brand, which is something that should greatly concern Toyota. Inside, it's more of the same disjointed cubism, but the styling of the interior and exterior are not deal-breakers. They could just use the style “volume” turned down a few notches. Toyota created an interior design where none of the curves or panels are visually connected. The line that runs the length of the door just disappears instead of having to connect with a line on the dash. This is a trick by automakers so they don’t have to make interior panels fit as snugly. But in the Corolla, it seems to work. 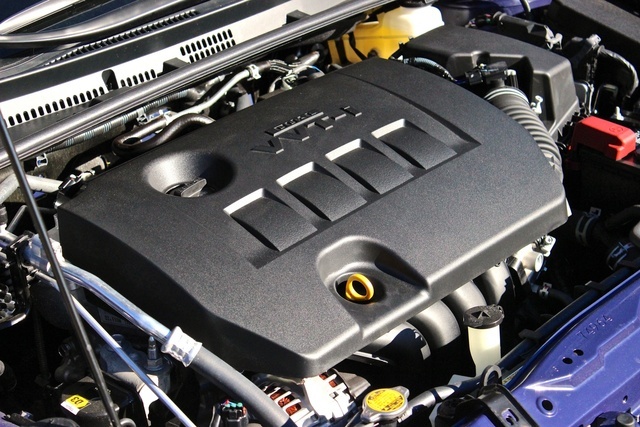 The Corolla comes equipped with a 1.8-liter inline 4-cylinder (I4). In all trims except the LE Eco, it makes 132 hp. Power is sent to the front wheels through one of several transmissions. A 6-speed manual transmission is available in both the base L and range-topping S trims. A 4-speed automatic is the basic transmission in the L ($16,800). A continuously variable transmission, or CVT, is available in the L and standard in all other trims. The CVT is effectively a gearing system that can simulate any potential ratio within certain constraints. For those who shell out the $19,700 for the S trim, the CVT is fitted with the added capability of a Sport mode that quickens throttle response and modulates the CVT to feel more like manual shifting. The S model also features a manual mode, with paddle shifters that allow you to select simulated “gears” within the CVT’s power band. Toyota sets the S apart from the rest of the Corolla lineup with a unique front fascia design, rear lip spoiler and leather-wrapped steering and sport bucket seats. One hundred thirty-two horsepower may not seem like a lot, but the tuning of the engine and mapping of the CVT work well to get every inch out of this fuel-sipping 4-cylinder. The Sport mode and manual shift modes of the S certainly add a bit of jump to the Corolla. The LE Eco trim is meant to be a unique, efficiency-minded version. In this trim the engine features Toyota’s VVT-i intelligent variable valve timing, which increases efficiency but also incidentally increases horsepower to 140. Other LE Eco equipment includes low-rolling-resistance tires, reworked throttle mapping for more sluggish acceleration and a reduction in usage of the air-conditioning compressor. 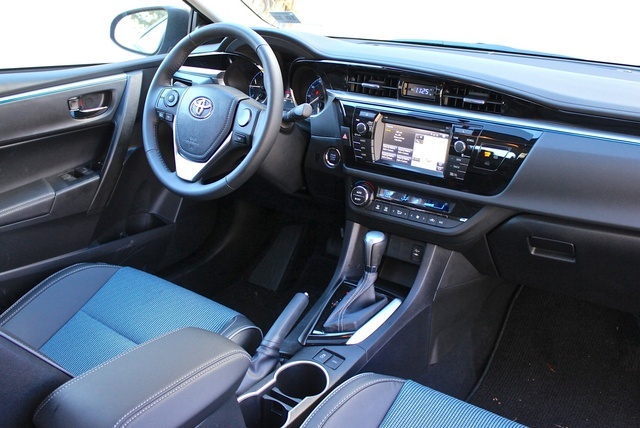 Corollas equipped with the 6-speed manual achieve fuel economy of 28 mpg city/37 highway. The base L with the 4-speed automatic gets 27/36, while the L, LE and S with the CVT (an option for the base L) get 29/38. The LE Eco gets 30/42 with the base steel wheels. If you opt for the 16-inch aluminum wheels on the LE Eco Plus, highway economy falls to 40 mpg. In real-world driving, you’ll lose those gains, so we would strongly recommend staying away from the Eco trims. Drive how you want to drive, and select the trim that is most right for you. In turns the Corolla has some body roll, but no one will be driving fast enough to make this an issue. That is to say, in daily driving, it will give you a no-fuss ride and can even be a little sprightly at times. No one is bringing the Corolla to any track days (we hope), and getting to and from work every day will be comfortable at the helm of this compact sedan. This is the Corolla’s bread and butter. It may have dramatic, polarizing styling and a heap of new technology, but ease of use is the best feature the Corolla has to offer. While the styling of the interior might not be for everyone, anyone will find the cabin supremely usable and easy to interact with on a daily basis. Controls differ based on trim, with the base L getting manual HVAC controls and a simple radio interface. Uprated trims get a digital display for the climate control and a touchscreen for radio and navigation, among other features. Historically, one of the great criticisms of compact sedans is a lack of rear seat space. The back seat of the Corolla has 41.4 inches of rear leg space—up 5.1 inches from last year’s model. It might be hard to envision what 41.4 inches looks like, but consider this: The Corolla's back seat has more space than the back seat of the Chevy Impala. The numbers don’t lie, either—the Corolla's rear seats are surprisingly spacious. Impressively, all trims of the Corolla—including the base L—feature LED headlights, Bluetooth connectivity and a USB auxiliary port. The Bluetooth system interacts quite well with most smartphones and allows you to play streaming radio or music as well as downloaded podcasts. Bluetooth is great for leaving your phone in your jacket or purse while being able to access its content, but that can obviously drain your phone’s battery. A USB cable allows you to access your smartphone’s content and charge the phone at the same time. 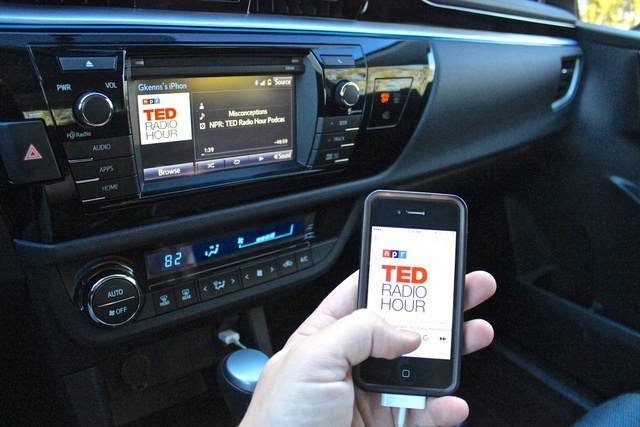 The Corolla is also available with Entune—Toyota’s user-interface infotainment system. Entune is actually a suite of apps that replicate smartphone apps. It even has apps for Pandora, Bing and Yelp, as well as other notable apps. The Corolla does have a small quirk drivers will have to get used to. The preset selection button on the multifunction steering wheel goes with the list as it's shown on the touchscreen. The way most drivers are used to it, if you're on preset #1 and want to get to preset #2, you hit the Up button on the steering wheel controls. Now, it follows the list, and since the preset #2 is below #1 on the list, you have to press the Down button to access preset #2. In short, selecting a radio station works opposite to most folks' conventional wisdom. It’s a bit counterintuitive at first, but you’ll get used to it quickly. Perhaps one of the most fascinating new features of the Corolla is its HD radio capability, including the ability to pause live radio. This is helpful if you are trying to listen for traffic or weather reports and a call comes in. On the other hand, it’s just one more feature built into the Corolla that reflects how an average driver might use their car on the daily commute. The Corolla features 8 standard airbags, including front impact airbags, front seat mounted side airbags, and front and rear side curtain airbags. Also standard are front and rear crumple zones, an energy-absorbing steering column and a tire pressure monitoring system. All trims of the Corolla also come with Toyota’s Star Safety System. This suite of safety tech includes vehicle stability control, traction control, antilock brakes, brake assist and Smart Stop technology. There’s a lot going on under the hood—even more when you are in an unforeseen evasive maneuver—but you should know this stuff works when you get into trouble. Its combination of passive and active safety features have helped earn the Corolla a Top Safety Pick from the Insurance Institute for Highway Safety. 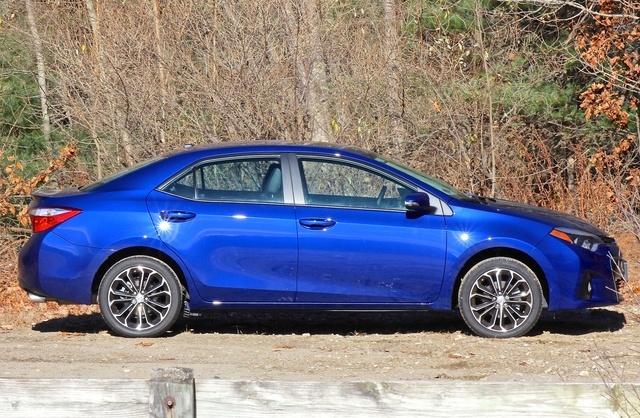 The National Highway Transportation Safety Administration has not yet rated the 2014 Corolla. It almost seems like there has never been a time when the Corolla was not a smart buy. The reputation established for cars like the Corolla and Camry has ascended to near-bulletproof status. Granted, there are plenty of cars as reliable as the Corolla, but perception goes a long way throughout the buying process. Base MSRP for the 2014 Toyota Corolla is $16,800. The LE starts at $18,300, and the LE Eco starts at $18,700. The sport-appearance S model starts at $19,000, and our fully loaded S with options like the Convenience Package and sunroof will set you back $22,060. We would recommend avoiding the LE Eco trim, as the extra cash will not translate into tremendous fuel-economy gains, especially in real-world driving. 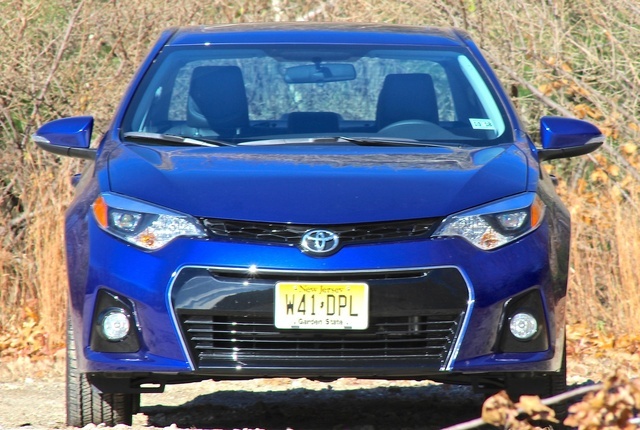 The Corolla is priced higher than cars like the Kia Forte and Hyundai Accent, but not by much. Conversely, it’s less expensive than the grossly overpriced Honda Civic. That makes the Corolla a smart buy. If the reputation of Toyota products holds through the next decade, the Corolla is a no-brainer. Its resale value will surely be high enough to make it worth your time—if you can deal with staring at it every morning before your commute for a decade. 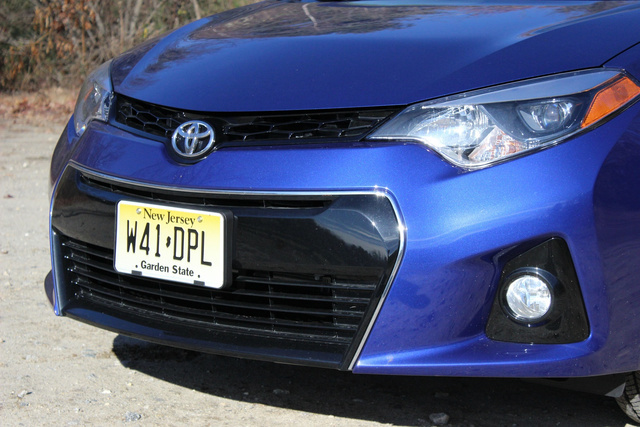 What's your take on the 2014 Toyota Corolla? Scochinwala I bought one but don't understand why they discontinue Key less entry on L Trim . It is not a expensive gadget to install . 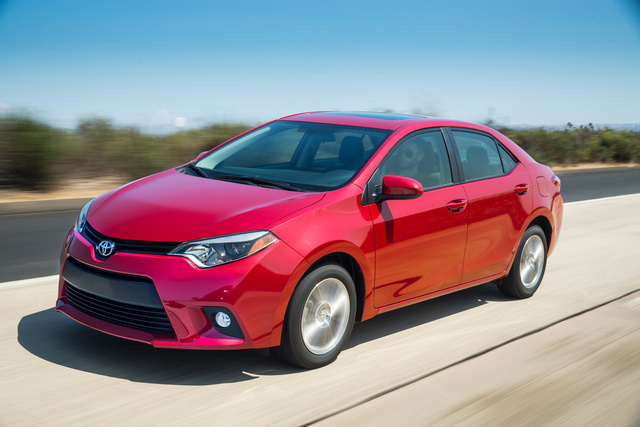 Users ranked 2014 Toyota Corolla against other cars which they drove/owned. Each ranking was based on 9 categories. Here is the summary of top rankings. Have you driven a 2014 Toyota Corolla?